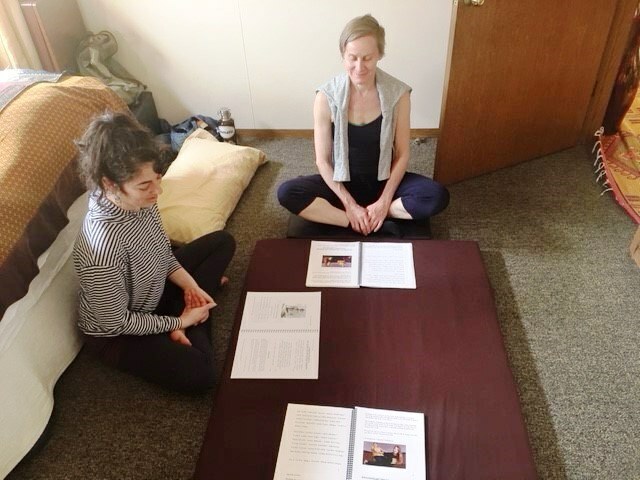 Learning how to do Thai Massage is a good choice for anyone who desires a career and a satisfying way to earn money from a practical skill that will help others.  Anyone can learn Thai Massage even if they have limited or no experience in body work. 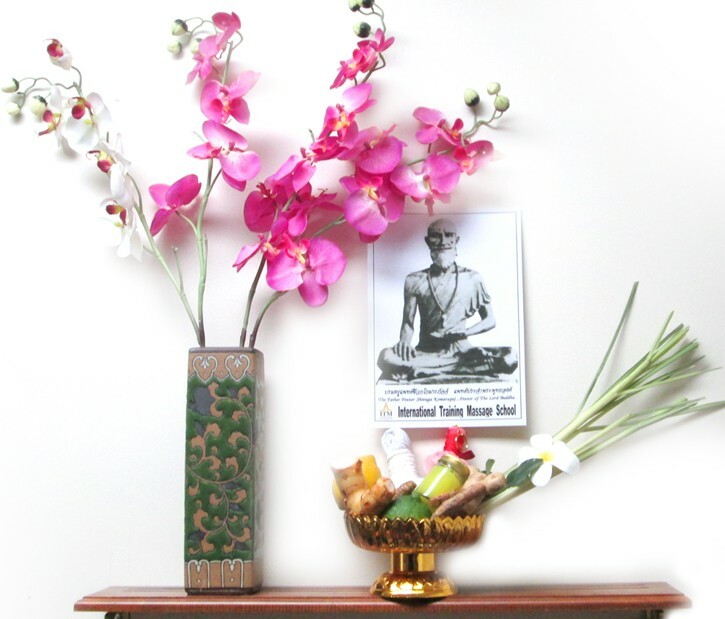 The massage training is especially good for those who practice or teach Yoga as the physical work and mental discipline keeps you strong, fit and flexible. 30 hours of training and 30 hours of supervised practice with your classmates. 12 hours of training and 30 hours of practice. 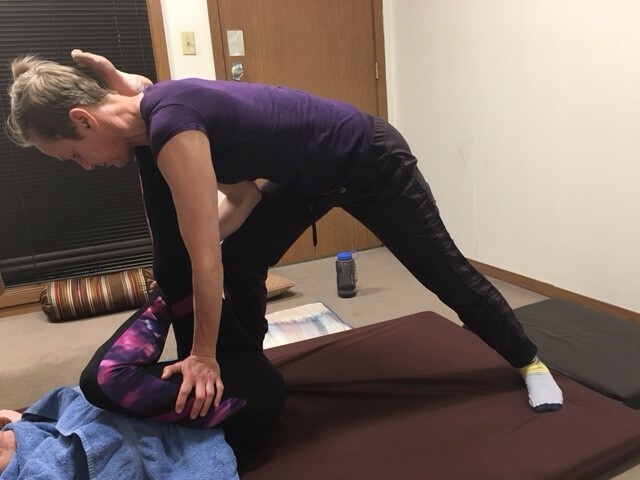 You will learn the principles of stretching and how to isolate particular joints and muscles, and energy lines, and how to stabilize the client’s body to prevent compression of the spine and over stretching. The training is comprehensive and the classes will be small with a maximum of 4 students per course. The teacher has generosity of spirit, a good sense of humor, teaching ability, and professionalism. 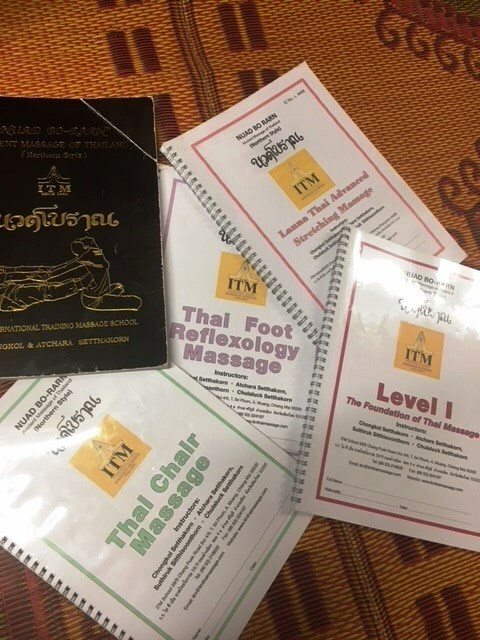 After you practice the procedures, demonstrate your knowledge to the certified instructor, and pass the practical exam, the results of your tests will be forwarded to the International Training Massage School in Chaingmai, Thailand for approval and processing of your certification. 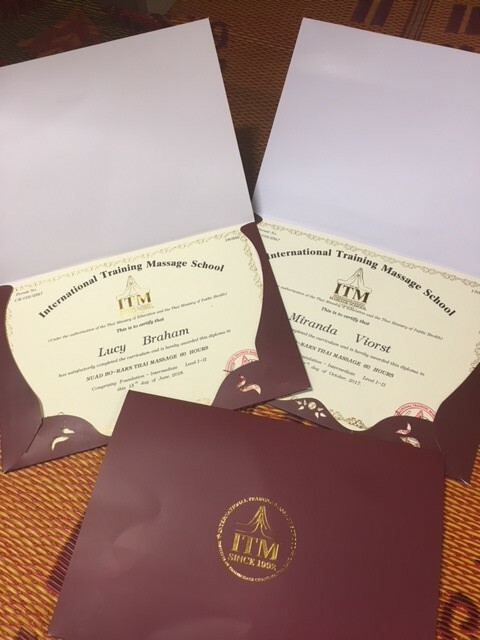 You will receive your certification to practice Thai massage from the ITM school.